This past Tuesday Alex Rodriguez of the New York Yankees hit a grand slam against the Atlanta Braves. It was the 23rd grand slam of Rodriguez’s career and it tied the mark for the most grand slams in major league history; Lou Gehrig of the Yankees also hit 23 slams. To put into perspective how difficult it is to hit 23 grand slams, consider that it took almost 74 years for another player to match Gehrig’s total. And if it were not for the steroids Rodriguez admits to using, it may have taken even longer. For the offensive team the grand slam is about the grandest thing that can happen. In the blink of an eye, or the swing of the bat, or a in a split second, a grand slam gives the offensive team four runs. For the team on defense, the grand slam is the most devastating thing that can happen. It is no wonder the grand slam is so fascinating to baseball fans. Roger Connor supposedly hit the first grand slam in major league history on September 10, 1881. While Gehrig holds the all-time record with 23 steroid-free grand slams, Willie McCovey holds the National League record with 18; he hit 16 grand slams for the San Francisco Giants and two with the San Diego Padres. Manny Ramierz hit 21 grand slams and Eddie Murray hit 19, but they split their slams between leagues. The Sultan of Swat, Babe Ruth, swatted 16 grand slams, the same total as legitimate home run king Henry Aaron hammered. Don Mattingly of the Yankees and Travis Hafner of the Cleveland Indians hold the record for most grand slams in a season with six. Ernie Banks of the Chicago Cubs and Albert Pujols of the St. Louis Cardinals hold the National League mark with five. Twelve players have hit two grand slams in one game. 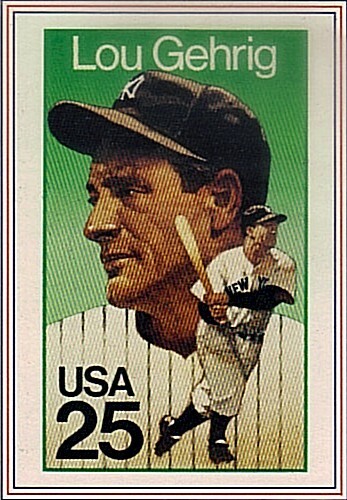 Tony Lazzeri of the Yankees became the first player to do it back on May 24, 1936. Josh Willingham of the Washington Nationals was the last player to do it; he hit his slams on July 27, 2009. 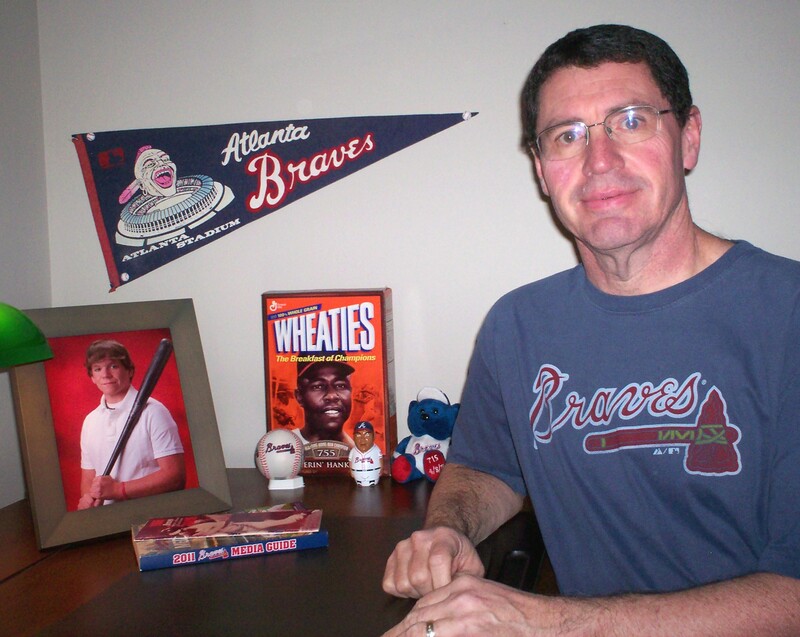 On July 3, 1966 Tony Cloninger of the Atlanta Braves hit two grand slams against the Giants; he was the first National Leaguer to hit two slams in a game and remains the only pitcher to do it. On April 23, 1999 Fernando Tatis of the Cardinals hit two grand slams in the same inning. Bill Mueller of the Boston Red Sox is the only player to hit a grand slam from each side of the plate in the same game. On May 10, 1999 Nomar Garciaparra of the Red Sox hit two grand slams in a game at Fenway Park, making him the only player in major league history to hit two slams in a game in his home park. Three players – Bill Duggleby (1898), Jeremy Hermida (2005), Kevin Kouzmanoff (2006) and Daniel Nava (2010) – hit grand slams in their first big league at-bats. Kouzmanoff and Nava went one better; they hit their slams on the first pitch thrown to him in his career. In 1920 Elmer Smith of the Cleveland Indians hit the first World Series grand slam. Chuck Hiller, a light-hitting second baseman with the Giants, hit the first National League World Series grand slam in 1962. Hiller had just five career home runs at the time of his grand slam and finished his career with just 20 homers. 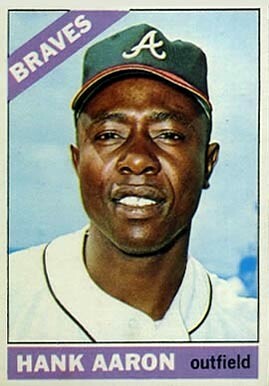 McCovey also shares the record for most pinch-hit grand slams with three. The other players with three pinch slams are Rich Reese, Ben Broussard and Ron Northey. Broussard, Daryl Strawberry, Mike Ivey and Dave Johnson each hit two pinch-hit grand slams in the same season. In 1983 Fred Lynn of the California Angels hit the first and only grand slam in the history of the All-Star Game. As far as pitchers go, Kenny Rogers gave up the most grand slams with 11. Jim Palmer of the Baltimore Orioles pitched 3,948 innings in the regular season and another 124 1/3 in the postseason without ever surrendering a grand slam. I’ve always liked the grand slam, especially when a Braves player hits one. 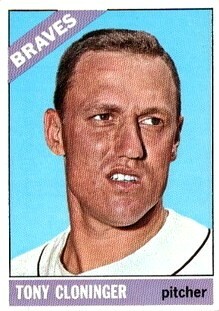 On June 8, 1966 Aaron hit the first grand slam in Atlanta Braves history. As mentioned earlier, Cloninger’s two-slam game came later that same season. Brian McCann hit the most recent grand slam for the Braves back on May 8; he also hit the last pinch-hit grand slam for the Braves on August 11, 2010. McCann has eight grand slams in his career, tying him with Ed Mathews for third most in Braves’ history; Joe Adcock had nine while Aaron’s 16 are the most. In 2005 Joey Devine of the Braves gave up grand slams in each of his first two big league appearances; he is the only pitcher to suffer such a fate. Braves’ pitcher already have given up five grand slams this season. Finally, when Roger Connor hit the first grand slam, it was also an ultimate grand slam; that’s a walk-off grand slam that wins the game by one run. On July 25, 1956 Roberto Clemente of the Pittsburgh Pirates hit an inside-the-park, ultimate grand slam at Forbes Field against the Cubs. I think I’ll call that an ultimate, super-colossal grand slam. Yes, he was called Top Cat. He drove in nine runs in that game. Braves won 17-3 and TC pitched a complete game–which now is about as rare as the grand slams were then.